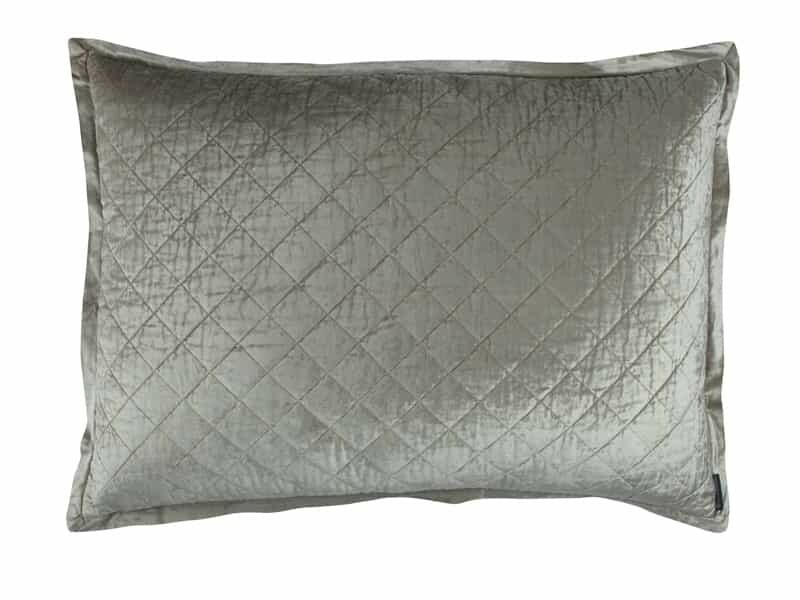 Chloe Diamond Quilted Luxe Euro Pillow (27x36) is made of Ice Silver Velvet and has a 1" Velvet Flange. A pillow insert is included. It's Pre-Washed and Machine Washable. Designer Tip: You only need two of our oversized Luxe Euros to fit on a Queen, King, or California King sized bed.